We propose a direct and fully automated translation from standard security protocol descriptions to rewrite rules. 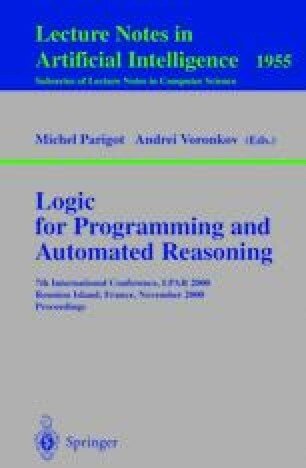 This compilation defines non-ambiguous operational semantics for protocols and intruder behavior: they are rewrite systems executed by applying a variant of acnarrowing. The rewrite rules are processed by the theorem-prover daTac. Multiple instances of a protocol can be run simultaneously as well as a model of the intruder (among several possible). The existence of flaws in the protocol is revealed by the derivation of an inconsistency. Our implementation of the compiler CASRUL, together with the prover daTac, permitted us to derive security flaws in many classical cryptographic protocols.